The famous shop has seen travelers from as far as Buffalo, New York attend some of the shop’s monthly beer events, which feature a tap takeover from a variety of rare, quality breweries. Sabatini’s Bottleshop and Beer Bar is an extension of the original and neighboring Sabatini’s Pizza. The pizza shop was started in 1958 by Lindo Sabatini’s grandparents, John and Katherine Sabatini, and has remained in the family during its lifetime. After managing the pizza shop since 1995, Lindo Sabatini eventually purchased the business from his parents in 2005. 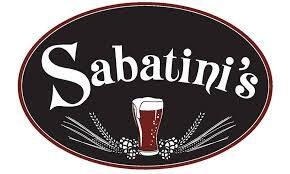 From 2005 to 2014, Sabatini began building up the beer offerings at Sabatini’s Pizza, searching out the most unique, high quality beers to feature at the shop. “We were running out of space to show people our collection. We had books to show people what we had, but we always knew that if we had a place to display the beer and to show people what beers we had to offer, it would be more successful,” says Lindo. After years of research and planning, construction began in 2014 on what is now Sabatini’s Bottleshop and Beer Bar. The new building features a bar and tasting room, an outdoor patio, a private event room, and a shop area, which is lined with shelves and coolers filled with specialty brews. They have an impressive collection of imported beers, including hundreds of Belgian and German beers, as well as American craft, local craft, seasonal offerings, gluten free beers, and cider selections. The shop gets about 200-300 news beers each week, ensuring that customers will always be able to taste and experience something new. Additionally, they offer 23 beers on tap in their bar and tasting room, the majority of which are rotated seasonally.